We believe that our clients benefit because we have narrowed our practice to the law of estates and trusts and have done so for over 35 years. Estate planning is the process of organizing your personal and financial affairs to be prepared in the event of disability and to arrange for the orderly transmittal of your property to your intended beneficiaries. Estate and trust administration is the process of concluding a decedent's affairs and implementing the plan contained in the will or trust, or with no planning, settling the estate in accordance with the law. Fiduciary litigation concerns disputes involving trusts and estates. Such disputes will require an attorney to resolve issues like will contests, disputed accountings, suits seeking the removal of the trustee or personal representative, and more. Estate and Asset Protection Planning: Good estate planning is designed to carry out the client’s wishes. It is not just about saving taxes (although it certainly involves that). It is about making sure the plan is implemented while protecting the client’s intended beneficiaries. Will and Trust Litigation: We handle disputes over the meaning of estate planning documents, arguments involving personal representatives or trustees, and challenges to documents based on lack of capacity or undue influence. Estate and Trust Administration: Administering an estate or trust can seem to be an overwhelming task. We can make the job more manageable by assisting our clients in every facet of the task. We prepare all estate and trust tax returns in-house so we are able to offer seamless administration services from beginning to end. For over 35 years, we have focused on the law of estates and trusts. The firm has developed deep experience and expertise in the practice area. “Doing it all” within our practice niche creates a synergy that strengthens our handling of each matter. Our approach to planning, for example, is strengthened by the fact that we administer estates and trusts. Our handling of both planning and administration is informed by the lessons learned from our fiduciary litigation practice. Our fiduciary litigation practice, in turn, benefits from our understanding of the substantive issues that arise during the planning and administration process. Not only does the firm “do it all” within the practice niche, but our professionals do it all as well. The firm culture promotes a deep understanding of the practice area by continually involving the lawyers, accountant, paralegals and other professional staff in all aspects of the practice. This means that knowledge and expertise builds on itself. Clients are clients of the whole firm – not just of one lawyer in the firm. This starts from the initial meeting of any new matter. Generally, two lawyers will initially meet with a new client to discuss the client’s concerns and to offer recommendations of how to handle those concerns. If it is an estate planning matter, for example, after the initial meeting with two lawyers, one lawyer will prepare a draft of the will or trust. Before this draft is sent to our client, it is reviewed and discussed with at least a second lawyer of the firm. With an estate or trust administration matter, usually the initial meeting includes a mix of lawyers, a CPA, and a paralegal. This brings the different professional perspectives to the matter that begins from the initial meeting and continues thereafter. A similar team approach is used with litigation. This collaborative approach, coupled with the office-wide involvement in all aspects of an estates and trusts practice, lets us deliver the highest quality of client services. Each of the three partners have written articles for law reviews or other publications for lawyers and each have presented continuing education courses for fellow lawyers on estates/trusts topics. Aside from giving back to the profession, these activities deepen and extend our understanding of the law of estates and trusts. This, in turn, also benefits the quality of our advice and client services. The firm consists of four lawyers Fred Franke, David Sessions, Jack Beckett, and Deb Howe. Fred, the firm’s founder, is a Fellow of the American College of Trust and Estate Counsel. He is a past chair of the Estate and Trust Section Council of the Maryland State Bar Association and he has been an adjunct Professor of Law of estates and trusts at the University of Baltimore Law School. All of the firm’s partners have authored estates and trusts articles and other materials for Maryland and national publications and are active in professional groups focused on our practice areas. The firm has continuously been ranked as a Best Law Firm for estates and trusts by U.S. News & World Report. Franke, Sessions & Beckett LLC is a law firm in downtown Annapolis. The firm's practice is exclusively the law of estates and trusts. Within this niche practice, the firm provides a wide range of services: planning, administration, and litigation. 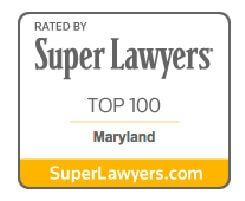 We could not be more satisfied with the service provided by the Law Office of Frederick R. Franke, Jr. LLC in Annapolis. Fred and his entire team provided excellent, professional, understandable advice and counsel to us as we updated wills, established a trust and executed advance health care directives. Most highly recommended! Client of Frederick R. Franke, Jr.